Since 1980, our experienced corporate investigation team has been frequently travelling in Italy and all over Europe to conduct insurance claim investigation operation. Under the directorship of Francesco Finanzon who is an author of four handbooks about investigation technique, diversified range of corporate investigation services are provided to clients based all across the Italy and all over Europe. Investigazioni Octopus s.a.s is one of the leading investigative companies in Italy. During our insurance fraud investigation we have always focused on reaching high- quality standards. In order to become the reality of references for those who need to reach the result with confidentiality and professionalism. We believe in providing a dedicated consultant and sole contact person who will be available for any of your needs in the investigation area. We respond to all our client’s in structured manner and we are very target oriented. Our clients include Law-firms, Fraud Examiners, In-house counsels, business houses, Exporters, Insurance Companies, Financial Institutions and other corporate individuals located anywhere across the globe. 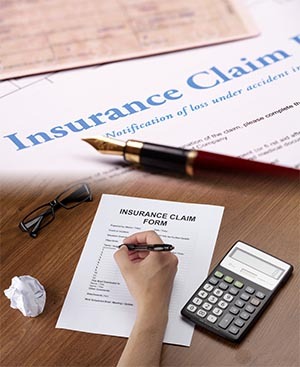 Our expert team of Italy insurance claim investigators assures clients to provide comprehensive investigative services with complete accuracy and efficiency. We are supported by strong networks of more than 3000 professional members in over 100 Countries. We have the stringent claim investigation procedures to abolish all possibility of fraudulent activities existing in the Insurance sector and our effective processes can reform the corporate operations by providing the scope for development and growth in the commercial world. We provide our services in all parts and regions of Italy including Rome, Milan, Naples, Turin, Palermo, Genoa, Bologna, Florence, Catnia , Bari, Venice, Verona, Messina, Padova, Trieste. If you wish to discuss any aspect of your insurance claim investigation or are in any way concerned, we will be glad to discuss your case in complete confidence, please contact us without any obligation to proceed. We are committed to providing the thorough investigation with concluded and interpreted reports. All the sensitive queries are handled discreetly and confidentially. We are prompt in responding to all related queries with a highly authenticated piece of advice. To obtain more comprehensive information related to our services, kindly write to us at info@gvs.ae specifying your requirements and we shall revert soon to your query.